One of the most-worn items in my closet is, without a doubt, my white blazer. It instantly dresses up a simple tee + jeans, adds structure to girly dresses & is the ideal layering piece for the office. Mine is a lightweight linen blend with a tailored shape that I can wear almost year-round. 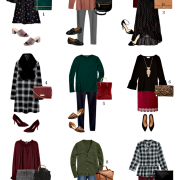 Take a look at all the different ways I’ve styled mine below (which also clearly shows my love for pointed-toe pumps), then shop the options below to find your own. Hint: since we’re nearing the end of the season, it’s the perfect time to buy! I agree, white blazers go with absolutely everything and it can be dressed up or down. Dressing it down is always my favorite way to wear a blazer! Love all of these looks but the first picture is my fav! I have THREE white blazers and have wanted to wear them all summer long but honestly it has been the MOST humid summer EVER in CA! At least for my CA blood…lol! It's great to see how you make an item work for you, getting optimum value of your purchase. Great looks, love the 2nd outfit with the ankle cuff shoes and flare skirt. Your style is admirable! I've been meaning to buy a white blazer for ages, but I can't seem to find the perfect fit. Maybe I'll just have it tailor-made 🙂 But I'm a little bit worried about the maintenance: how do you take care of yours? It looks so pristine and impeccable, do you mind share your tips on how to wash it? i like the white blazer with the pink skirt the best. I love my white blazer! You've styled it perfectly. I love how you put it over a peplum top. I would have never thought to do that! I better start my hunt again! I couldn't find one I liked in the spring! 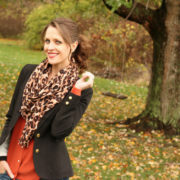 I love all of the different ways you've styled this blazer. I too love my white blazer because you can throw it on with just about anything. 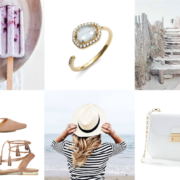 Such a perfect summer wardrobe staple! I have a great ivory blazer that I wear all. the. time. It's such a sophisticated staple that i can wear casual at work or dress it up for a night out. Great mash-up! I just discovered an old pale pink blazer in my closet that is similar to this. I was going to throw it out but you just gave me a lot of inspiration. Thanks Kim! I need a white blazer! Thanks for posting all of these looks and options, it really hits their versatility. I love all of these outfits! My white blazer has gotten so much use. I wear it year round too. In the winter, all you really need is a blazer where I live! Totally agree! I now have two. And, umm hello… in love with your Agave zippered denim. must wear them more!! the top right look is so good! love! Love this blazer, especially over your purple sweater! I have a white blazer but rarely wear it because it's a weird length. So sad to say but I do not have a white blazer.. a cream colored one, but no white. Need to get one asap!! 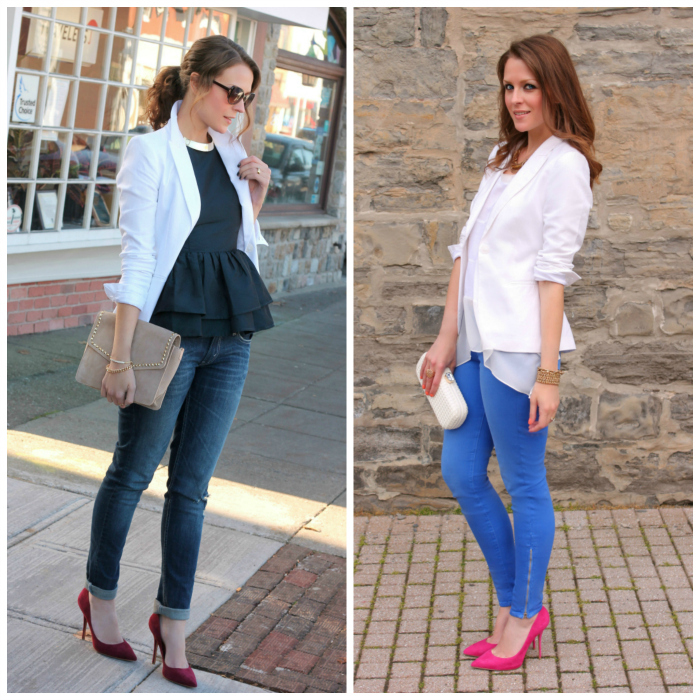 I'm loving all these different ideas for styling a white blazer! Thanks for the inspiration! White blazers are the best! I just did a round up on them and love this one from H&M. Love the versatile looks! I looove my white blazer. I have to agree with you, the perfect blazer pretty much goes with everything. You look amazing, and I love every single look. It was hard to pick just one as a favorite. Love them all. and i'm digging to have one white blazer! The formal one! Let me know if you want to follow each other! I have been on the search for the perfect white blazer for multiple seasons now! I love all these looks and that black peplum is adorable! Love how dramatic the peplum ruffle is! I don't blame you….it just goes with everything!!!! I noticed you pop the collar on that in almost every pic too! It's lovely to see that you actually reuse pieces! This post makes me realize I haven't been taking enough advantage of my own white blazer, thanks for the great styling inspiration! This is still one of the key items I should have in my closet but don't. I don't know what's taking so long but you look fab. I'm a huge fan of the white blazer – just bought one on sale from Aritzia. Love the outfits!